Although they are familiar faces in London, it may be that you have never heard of a Pearly King & Queen. A pearly Kings and Queen's title is inherited and each borough of London originally had one Pearly King & Queen, although not all now do. The Pearly King & Queen of Harrow are the new David and Paula Hemsley - third generation 'pearlies' - and the title was passed on through David’s late mother Margaret Hemsley. David is a Blacksmith by trade...so of course there was no other choice for their chosen marriage venue than here with us at Gretna Green Famous Blacksmith Shop. 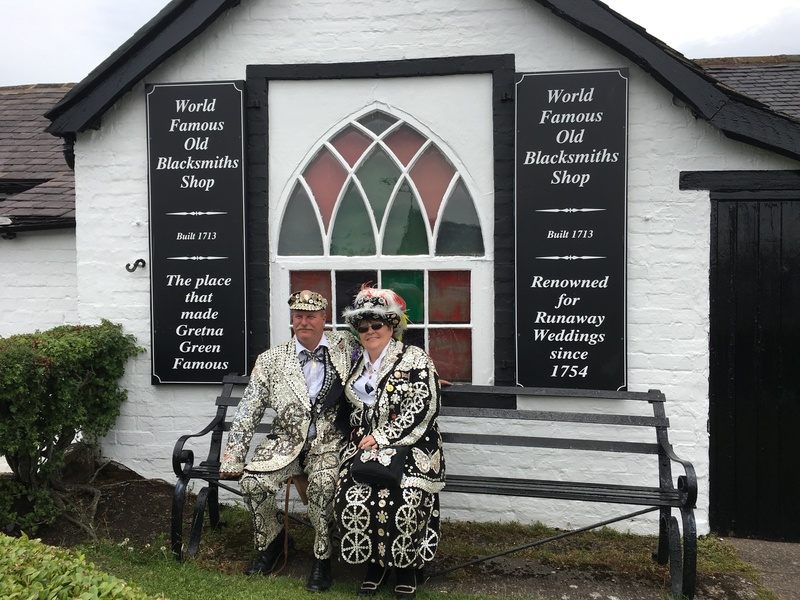 David & Paula chose to marry in their traditional pearly wear.... they even had to obtain permission to wear this outfit and marry outside of the city of London! David and Paula followed in the footsteps of the Pearly tradition and to date with the pearly group as a whole, have raised over $38,854.90 this year, which will be donated across many worthy charities. On Wednesday evening the Pearly King & Queen took the time to meet with a group of young brownies from the Gretna area - how kind of them on their wedding day! 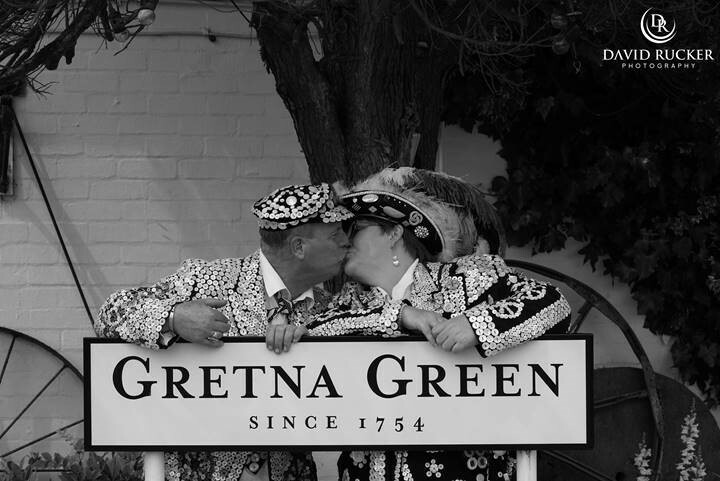 Best wishes from all of us here at Gretna Green to the newlyweds!